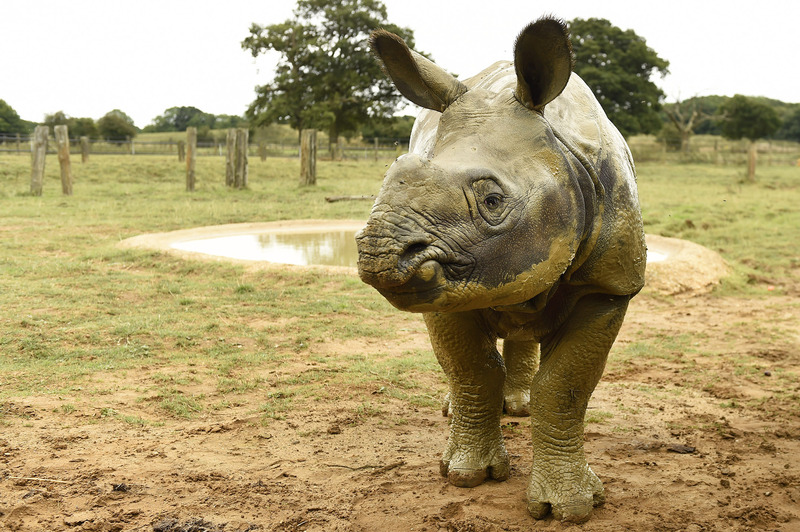 Channelling their inner Mary Berry, rhino keepers at ZSL Whipsnade Zoo swapped their brooms for baking tins this week, as they prepared a very special birthday cake for rhino calf Bali’s first birthday. Juvenile male, Bali, a greater one-horned rhino who weighs in at an impressive one-hundred stone, wasted no time at all in demolishing his birthday surprise - with mum Behan making sure she got in on the action. 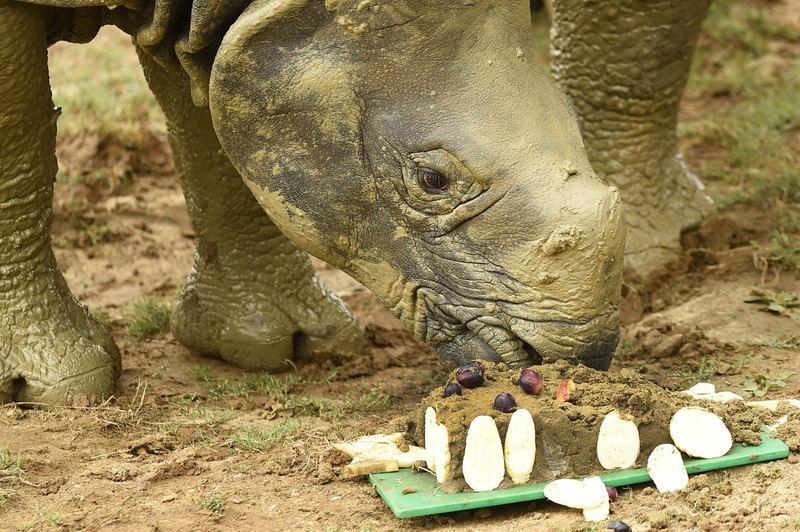 To mark the occasion, Bali’s dedicated keepers spent hours creating a bespoke cake, made from a recipe featuring the rhino’s favourite food including apples, carrots, parsnips, bananas, grapes and carrots. While Bali, and his one-and-a-half tonne mother, were at first relaxing in their wallowing pool, once they spotted the cake they soon came charging over to make light work of the masterpiece. 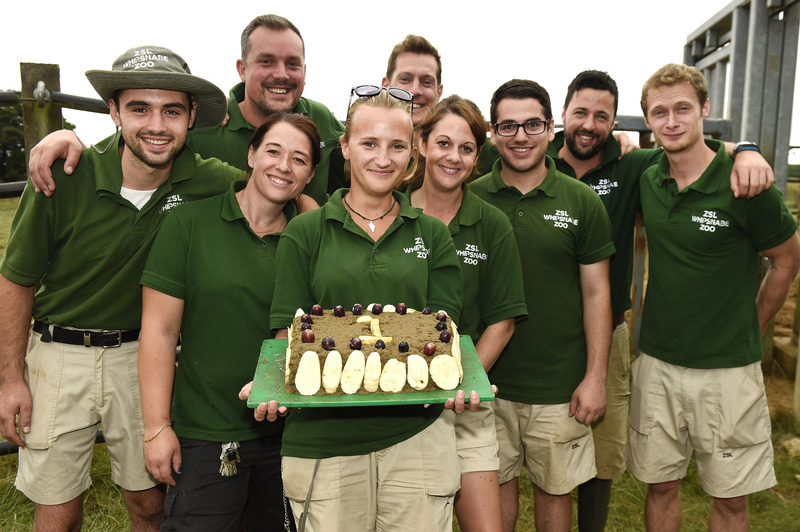 Senior keeper Chrisy Sellwood-Brown, who helped make the cake, said: “Bali’s first birthday is a cause for celebration, as his birth marked a huge success for the European conservation breeding programme for greater one-horned rhinos, which are classified as vulnerable in the wild due to illegal poaching and habitat loss. 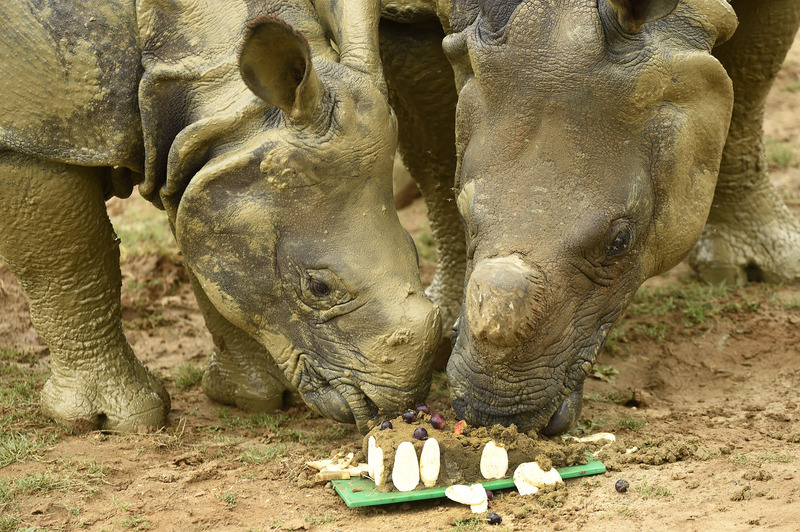 “It might look like just a bit of fun, but the cake was great enrichment for the mum and son duo – they’re inquisitive animals who love to investigate new things and this was a very exciting treat to discover. 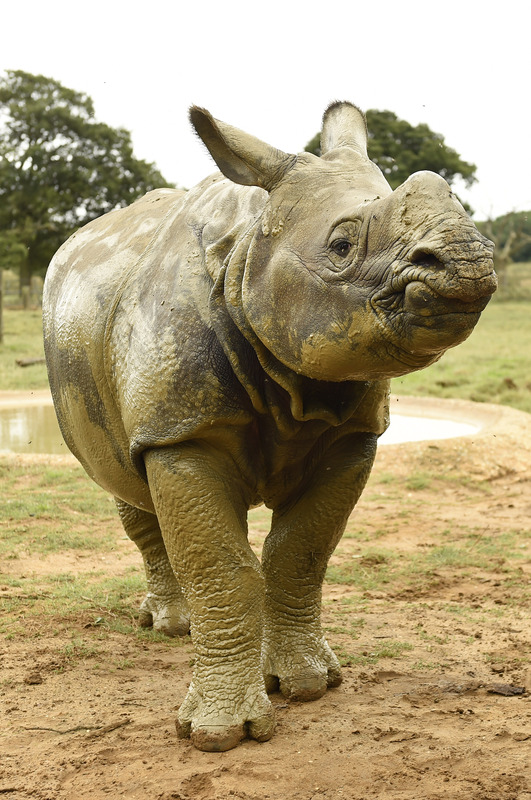 On September 6 last year, Bali became the 14th greater one-horned rhino to be born at ZSL Whipsnade Zoo, which was one of the first ever Zoos in the world to breed the species in 1957.
International conservation and science charity the Zoological Society of London (ZSL) works in Nepal to monitor and protect greater one-horned rhinos through an anti-poaching task-force and working alongside local communities. 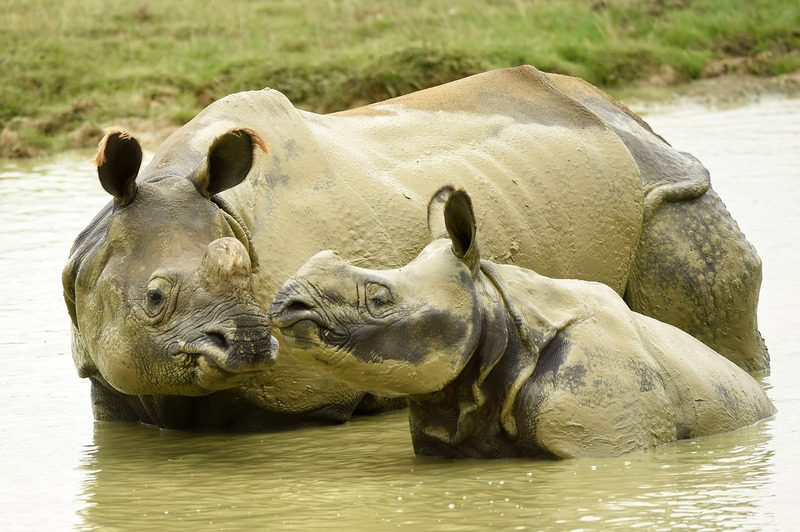 ZSL’s work in Chitwan National Park enabled the number of rhinos to rise from 100 in the late 1960s to 544 in 2000. Greater one-horned rhinos usually live to 30 – 45 years of age and have a gestation period of approximately 16 months. Their diet includes mainly grasses, but also some fruit, leaves, shrubs and tree branches. 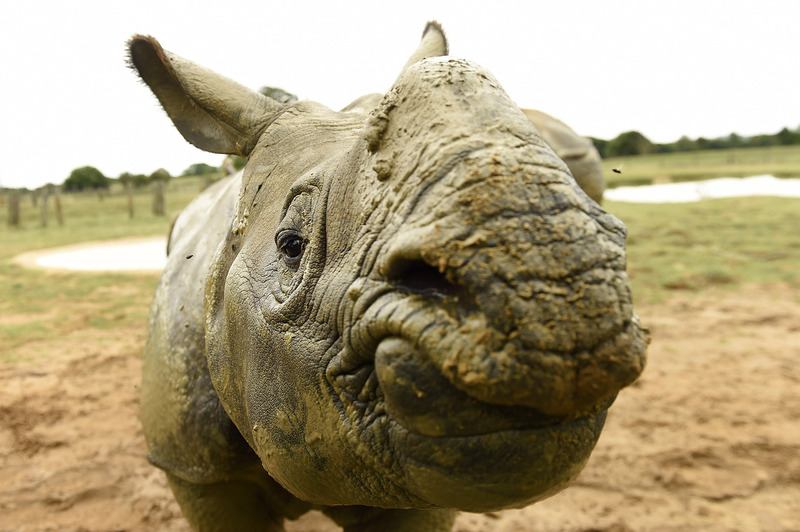 Greater one-horned rhinos are classified as Vulnerable by IUCN’s Red List of Threatened Species, due to illegal poaching and a decline in quality of habitat. The species is harvested illegally for its horn and other products used in traditional Chinese medicine. Native to India and Nepal, there are thought to be less than 3,500 greater one-horned rhinos left in the wild. Over 70% of the wild population found in Kaziranga National Park. Conservation efforts however mean that there has been a recent increase in overall population. International conservation and science charity the Zoological Society of London (ZSL) works in Nepal to monitor and protect greater one-horned rhinos through an anti-poaching task-force and working alongside local communities in Chitwan National Park, Bardia National Park and Suklaphanta Wildlife Reserve. ZSL’s work in Chitwan National Park allowed the number of rhinos to rise from 100 in the late 1960s to 544 in 2000. Photographs, video or graphics distributed by the Zoological Society of London (ZSL) to support this media release may only be used for editorial reporting purposes for the contemporaneous illustration of events, things or the persons in the image or facts mentioned in the media release or image caption. Reuse of the picture or video requires further permission from the press office of ZSL. An elephant is killed by poachers every fifteen minutes. Amphibians across the globe are facing an unparalleled disease epidemic. Fish numbers risk being matched by toxic plastic pollutants within a decade. The world’s wildlife populations have halved in just 40 years.